The mouse made by hazardous minds for those gamers who play their favourite games at the extreme strength. 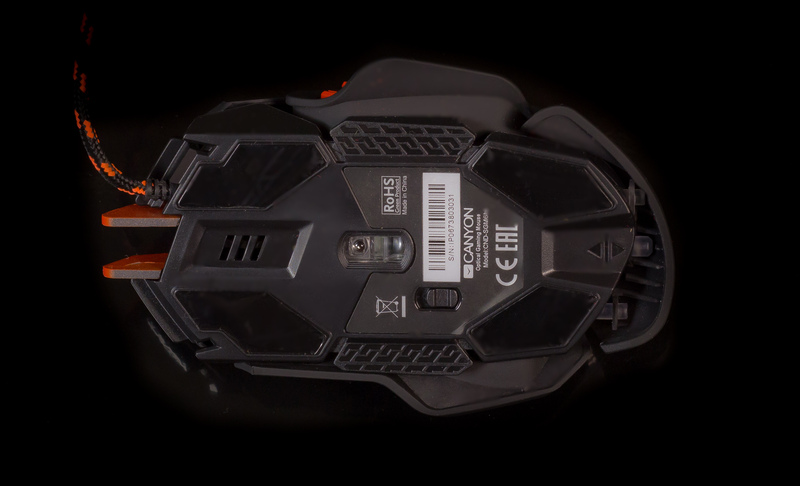 Due to 9 customized buttons and 4 removable extra weights per 5 grams each, the mouse has great capabilities to get you to the top. A perfect weapon for a certain victory. Personally for your gaming character, you can set up macros and button commands for any gaming style. 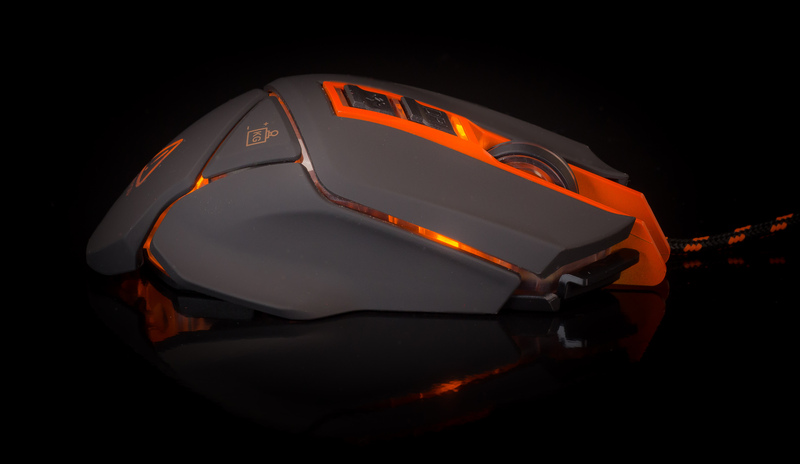 Achieve more gaming results by adapting your mouse specifically for your game character. 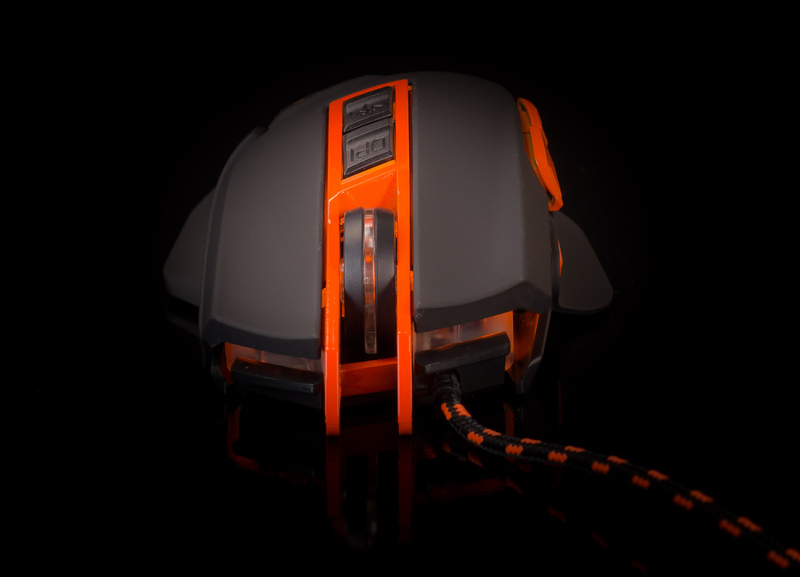 You can customize your mouse sing removable 20g (4x5g) extra weights to control your mouse with maximum efficiency. Onboard memory module allows to transfer custom settings, backups and your entire player profile to other computers. Pleasant-touch rubberized coating provides durability, comfortable and secure grip and prevents from fingertips on the surface. A great feature for those who like to play hard and long. On-the-fly tuning! If you play fast and furious games on a large monitor or different screens, you’ll definitely need to switch between multiple levels of resolution. New generation sensor Sunplus allows to switch between 800/1000/1200/1600/2400/3200/4800/6400 DPI and customizable software - to set up private values of DPI. 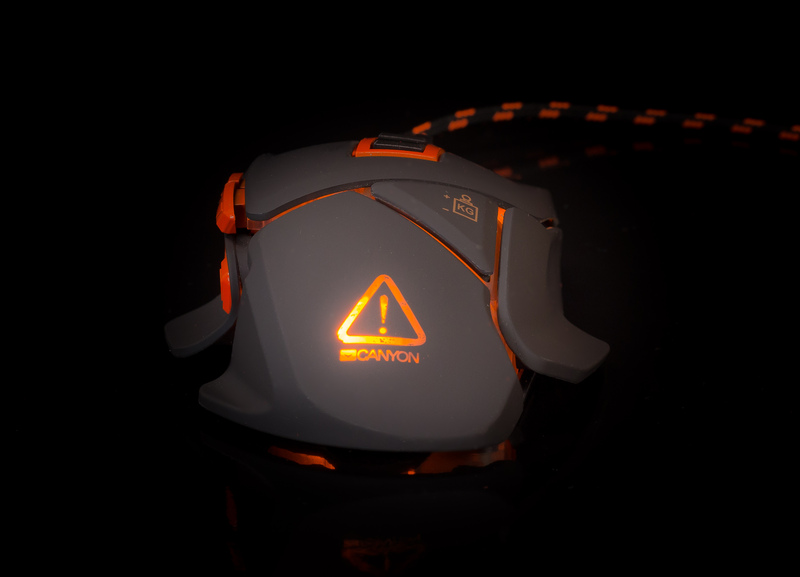 See and control your mouse in the dark during long-lasting overnight gaming sessions and enjoy magnificent fire-coloured lighting on the sides and on the top panel. 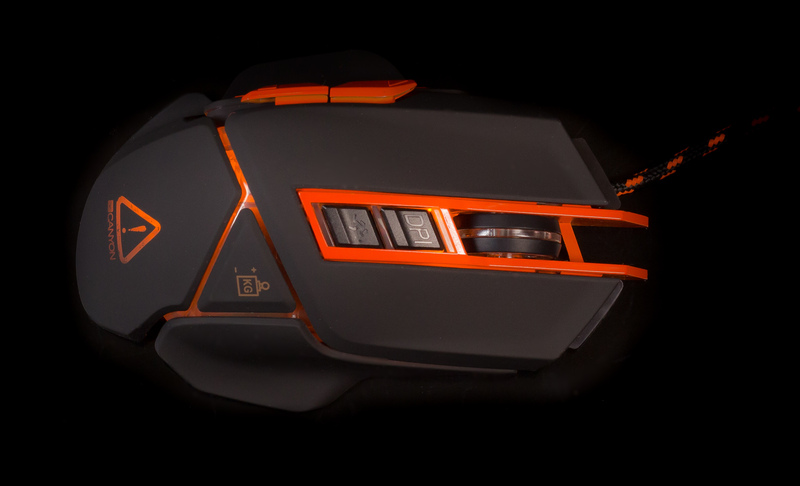 The mouse is designed for dynamic and long-lasting gaming sessions. The ferrite filter suppresses all electrical noise and helps to reach maximum precision and uninterrupted signal. Totally unlimited opportunities for personal settings for games of any genre! 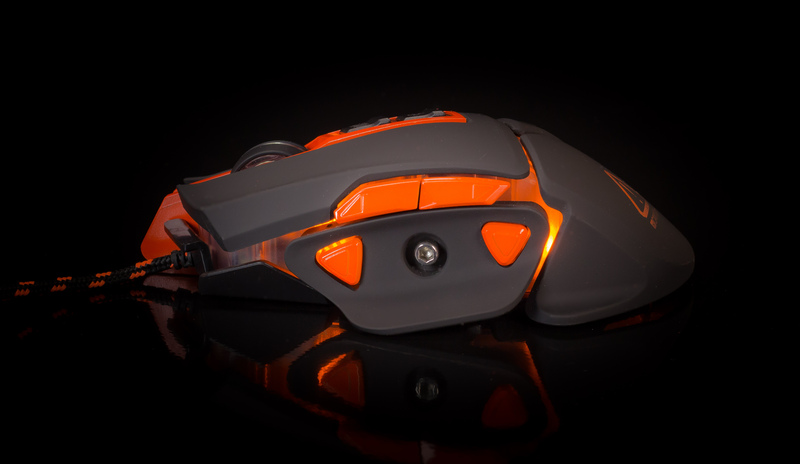 Full customization of the mouse allows you to create players profile, assign macros, change button assignments, response rate, DPI.